Two weeks ago, I did something I never thought would be possible this year….I paid off my last credit card! How did I do this? Well, I got serious about my budget and started to look into what options were available in my current world. I don’t have the best credit so I couldn’t open a new credit card to transfer balances and I was a tad scared to take that route as my goal was eliminate my credit card. I eliminated payments by unsubscribing from frivolous monthly costs. Bye bye Weight Watchers online and Freckled Fawn subscription. One I never used and the other had items collecting in my craft room – so those were easy to eliminate! But I still didn’t see much relief and I was getting frustrated that I would make a very minimal dent in a necessary goal of mine – eliminate my debt and start cleaning up my credit score. There had to be something! And then it hit me….the one financial area I hadn’t tapped in to for help was my 401K. I am blessed to have a solid 401K plan and I’ve been great about investing in to it despite some of my other poor choices. Like a ton of bricks, I realized that had a great pot to get me back on my feet positively. By taking out a “loan” with a very small interest rate (about 1%), I could pay off the stupid financial choices and consolidate about $500 worth of monthly payments to a single payment of $180. Reducing my monthly expenses by $320 would have a huge impact on my savings and emergency reserve…so I did it! I eliminated my car payment (which had an interest rate of 8%) and my last standing credit card (which had an interest rate of somewhere close to 15% because of my late payments). I then used some of the extra funds from that loan to pre-pay a couple of utilities to get me back on track. I no longer have any excuse for late payments and/or balances from month to month. This right here has changed my financial situation so much so that I finally feel I can breathe! After resolving all my issues, I realized that I still had a significant amount in my savings account to help me reach a second financial goal – to pay one of my parents’ mortgage payments. I can hear some people screaming that I should have put the remainder in savings. Yes, I could have made that choice, but this goal is one that I knew I wanted to make the savings’ pot sacrifice for….they deserved it and I could do it. 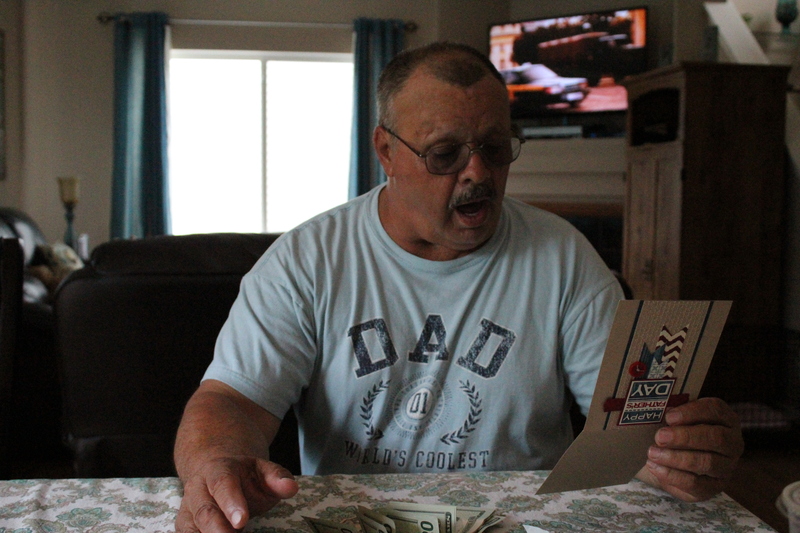 So in celebration of Father’s Day in Mexico and my dad’s 65th birthday (June 15th), I surprised them with the deposit. My dad was so overcome with the emotion of the gift that he broke in to a sweat as he chuckled and my mom started crying. The moment was unbelievable. Before anyone starts panicking, please know that I still have savings in my bank account and that I went ahead an upped my 401K investment with my employer. I’ve found that the automatic deduction from my paycheck forced me to adjust my spending because I don’t even think of the 401K as something I can use freely. I will still continue to watch my budget and plan to put away at least 10% of each paycheck in to savings to start a true savings/emergency fund. There’s a plan in motion and it all feels incredibly doable barring any major emergencies. So send me lots of prayers and well wishes. I finally feel like I’m a true grown up who can handle most emergencies on her own because I’ll be financially ready to tackle what may come — but let’s keep the emergencies away from me for now (or ever!). Reaching these two goals has been one of the most memorable moments of my life. Now to move on to the next! Fact: I’m terrible with my finances. Not epically terrible, but not good. Proof: I physically live within my means but yet I never pay my bills on time. As I looked at the start of my 40 before 40 goals, I realized that some of my not silly goals require being financially stable and smart. So I’ve taken a hard look at my monthly spending to see where I could make some changes. Boy oh boy are there plenty! So I had to put my University of Chicago educated brain on and take away the strength of the emotional “want” factor. The changes will commence now! Stop eating out so frequently – I’m a big foodie. While I don’t plan on giving up my eating adventures, I do need to stop the ordering lunch out, or picking up dinner on the way home because I’m too “tired” to cook. Eating out this much not only hurts my wallet, but it hurts my fitness goals. It needs to stop. Pay on time – this one frustrates me because I do know that late payments affect your credit score. Stop paying interest – for my last standing credit card and student loans – I need to pay more than the minimum and finish sooner. It pains me to see how much I’ve already paid of my student loans but yet feel like I’m nowhere near the end of them. The interest is killing me. I need to pay more than I’m asked. Weight Watchers online – I signed up because I wanted recipes. How many recipes did I get from here in the last year? none. How much am I paying monthly? $20…..that’s $240 worth of payments that could have gone to the last standing credit card. Cancelled on Monday. My Freckled Fawn kit club – I love paper crafts (which I haven’t really shared on this blog yet) so much that I actually have a second bedroom full of supplies. I had to purposely choose to live in a 2 bedroom apartment because I have so many supplies. That’s just crazy! This kit club has helped me fill in a few holes of my crafting arsenal – I needed embellishments – but they are now starting to pile up faster that I can use them. I cancelled my $25 monthly membership. I can always purchase individual items that I NEED (not want) later. The make-up hiatus – I looooooooooove Dior Make-up and other similar brands. Like my crafting supplies, I have collected an arsenal of goodies that help me paint a canvas on my eyelids and combine beautiful colors for very specific looks. 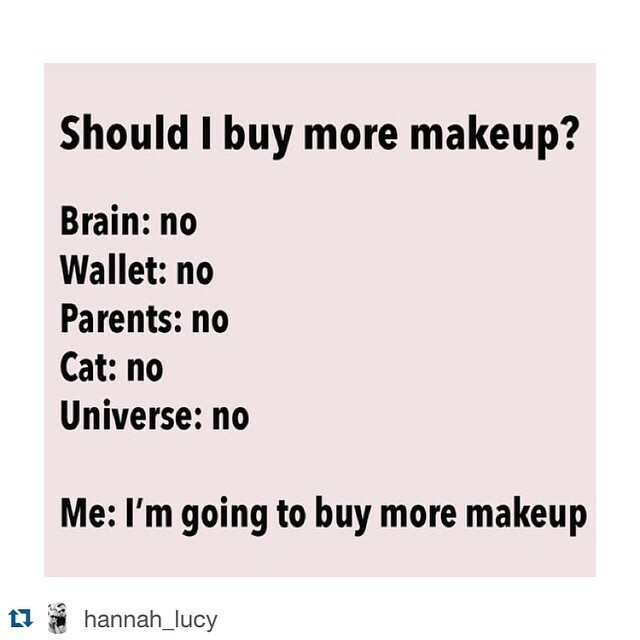 The Problem: I don’t wear make-up daily and so it piles up in my bathroom closet. I am officially committed to only buying the things I really need through the rest of the year. So things like replenishing my foundation, concealer, etc. An example that some of my spending is not so secretive? My friend recently send me this meme which made me chuckle but came at the right time to remind me why I need to do this. I needed to really step back and examine why I wasn’t able to reach some of 40 before 40 goals a long time ago. I had to be honest with myself because I have no one else to blame. I’m not supporting anyone else in my household (except my cat Charlie), so the only person responsible for the state of my finances is ME. I’ve never worked from a budget because I didn’t want to evaluate myself. It’s hard to intentionally look at your dumb choices. However, I’m glad I started this new blog (which has a cost) so that I can share my journey and ask you all to help me stay on track. I still haven’t found the best budget sheet for me, but I’ll share when I do. 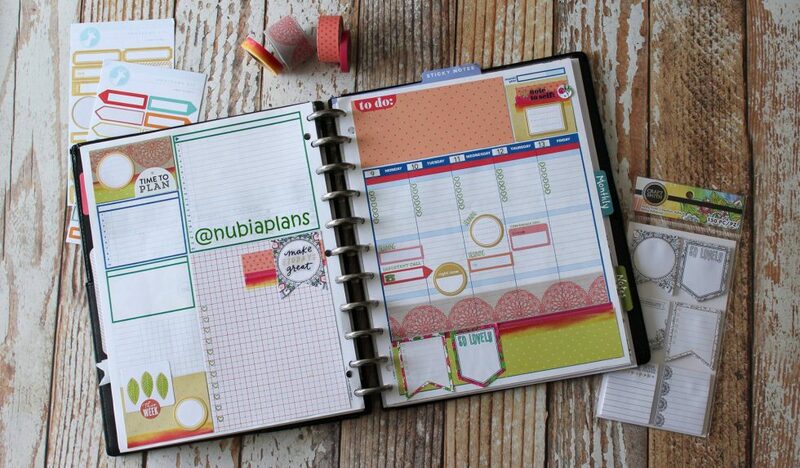 The beauty of PINTEREST and bloggers as that others have been where I am and have already developed the tools. I just need to find what works for me and keeps me on a healthy financial path. Perhaps my journey will inspire others to take that hard look and push forward!